In marketing and business, it’s important that all of your service offering work together to make the sale. I have a neat little example to show how being poor with 1 thing stops a sale completely. You see, I have a local BP Petrol Station about 1 km from where I live. It’s in a convenient spot for me, but I almost never buy petrol there. The petrol station, like all petrol stations, also has a compressed air station where you can check and pump up your tyres. That’s great, except at this BP station where the outlet doesn’t work – in fact, it’s been broken for best part of 2 years. No air for you – one year! 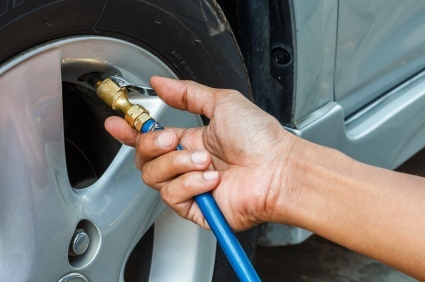 So whenever I need to check my tyre pressure or pump my tyres up – not often on my car but frequently on my motorbike – I know not to go to that BP. Which means they also miss out of the petrol sale which would be anywhere between $20 and $70 a time. I generally fill up and check the tyre pressures at a rival petrol station. And because I do that often, I’m in the habit of using this other petrol station even when I don’t need to check the tyre pressure. By not bothering to fix the air pressure guage/pump the BP station is losing about $3,000 a year in sales from me. And I wouldn’t be the only one. Every single local person who knows the air guage/pump is broken wouldn’t visit that BP when they need to check their tyres at time of filling up with petrol. Let’s guess 200 locals who don’t fill up at that petrol station 4 times a year because they need to check their tyre pressure at the same time. Let’s assume there’s another 50 people like me who have changed their behavior to now almost exclusively use the other petrol station. That’s a very significant $150,000 per year in sales to the competition. So the BP Petrol Station is missing out on a conservative $190,000 pa in petrol sales alone just because they haven’t fixed their air guage/pump. Get you entire marketing message, your actions and your team on the same side and tidy up places where you could be missing out on sales. It can be the difference between success or failure.